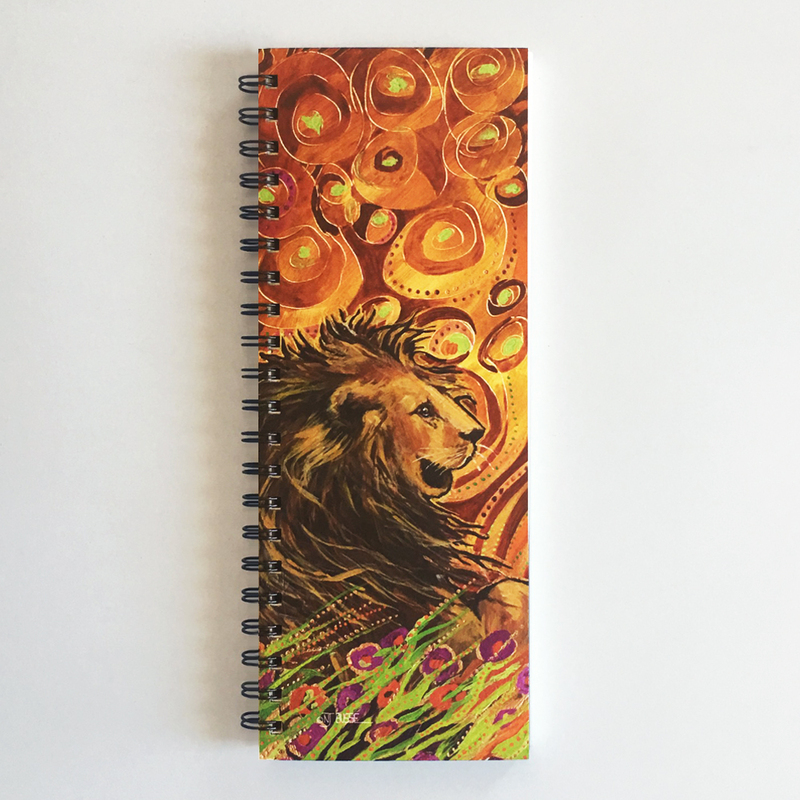 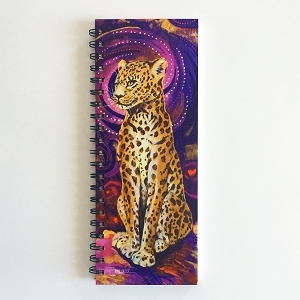 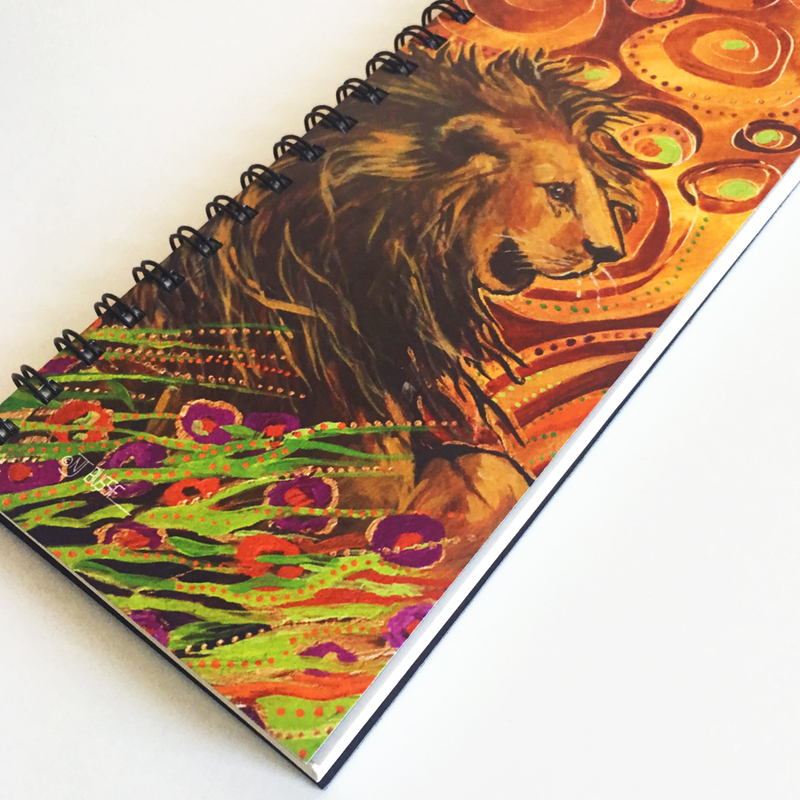 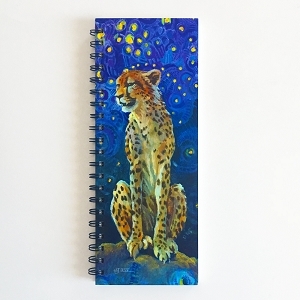 Just like royalty, this lion notebook provides users with a power to feel like they conquer their own kingdom. 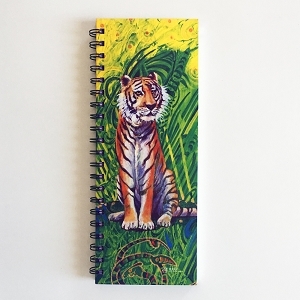 Many activities can be kept in this to do list journal for the forgetful mind. 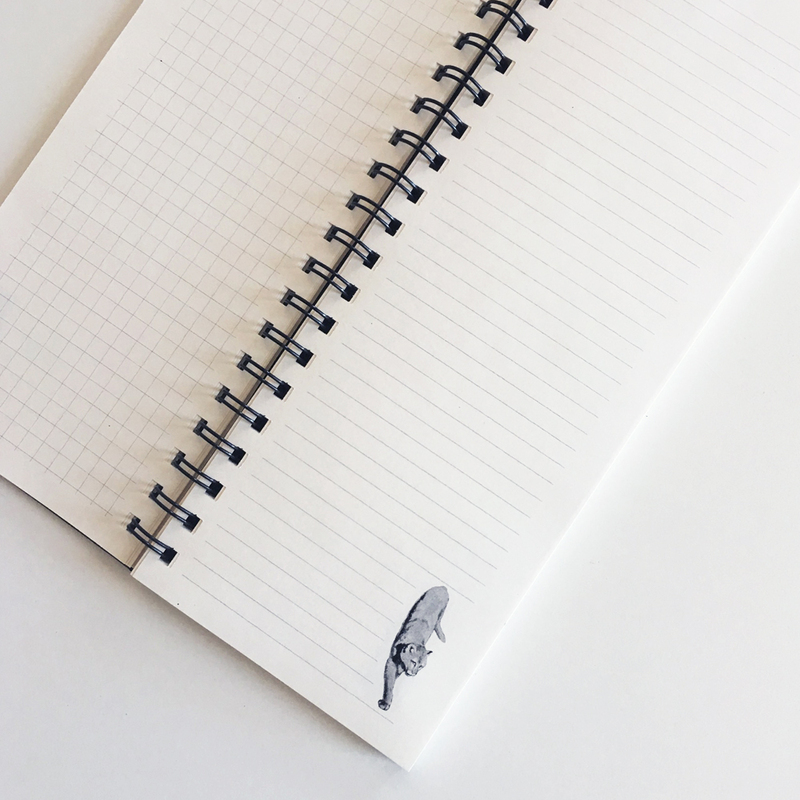 FSC certified paper gives users a chance to clear their head of all the confusion the day might hold. 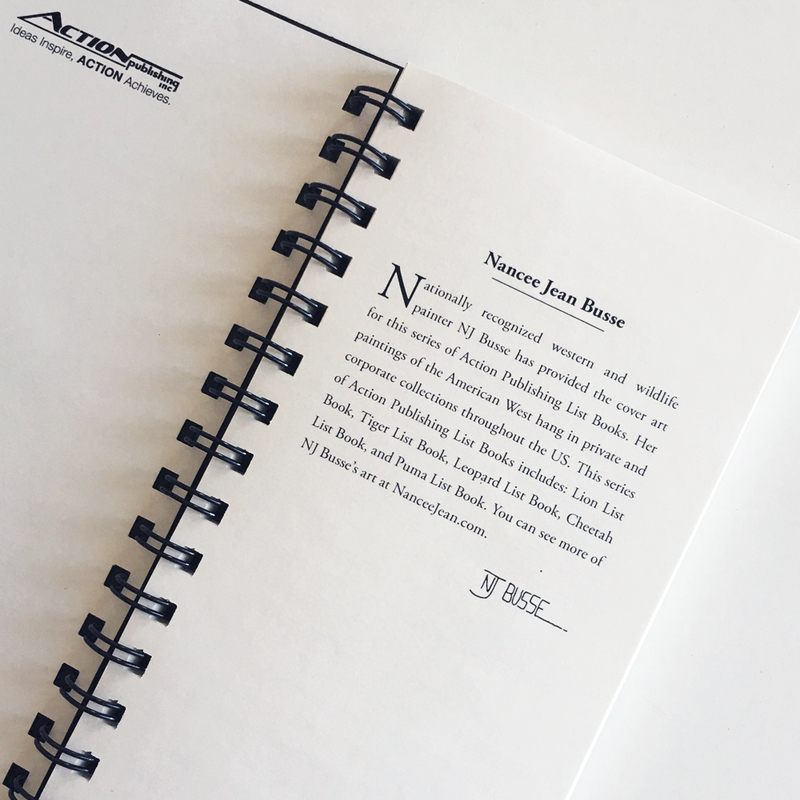 These 140 pages of healthy paper will bring buyers on an African safari making them feel like they can conquer all parts of their life while saving the world. 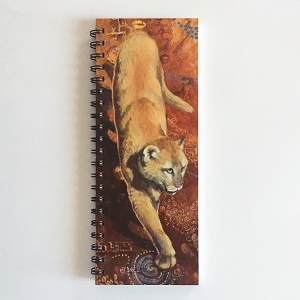 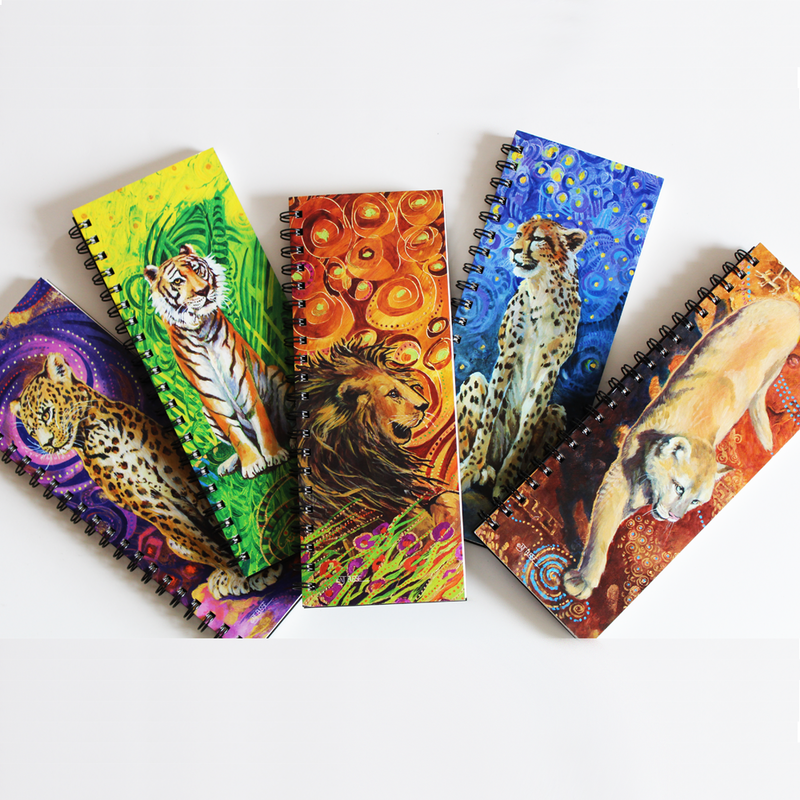 Nationally recognized painter from Western Colorado, NJ Busse is the creator of the beautiful, exotic beast on the front and back covers. 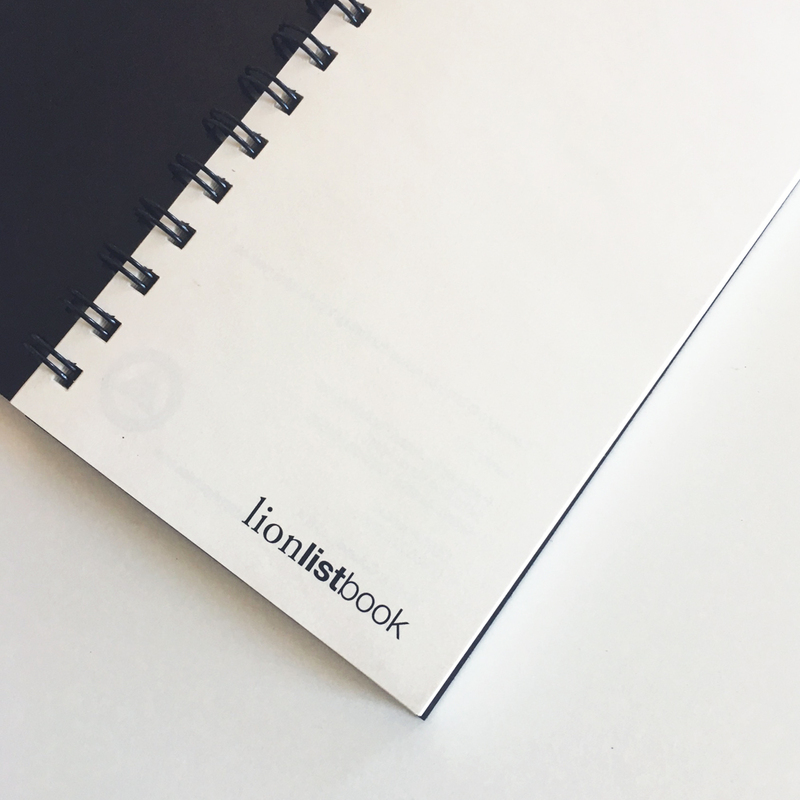 Be ready for a unique adventure every time this list book is near.